It's Tuesday again.. another week since my last confession. It's been a strange evening. I came home and fixed dinner grabbed a couple books and settled in to read. I confess I still have these books beside me hours later and I've basically been in a TV trance. Somehow I've managed to settle a lesser form of mental stimulation. I'm not proud about it. I was saddened this week by the death of Walt Bodine a long time local radio personality. I think Walt was 92. I confess I used to stay up late listening to his call in program as a young teen. His program was always so eclectic. I've has this uncanny mental thing going on where it seems I'm seeing poems in all these different things around me. At least segments of poems. I confess I've been swishing these thoughts around trying to keep them straight so that I might be able to get these down on paper before they evaporate. That's it for tonight, wishing you all a great week. 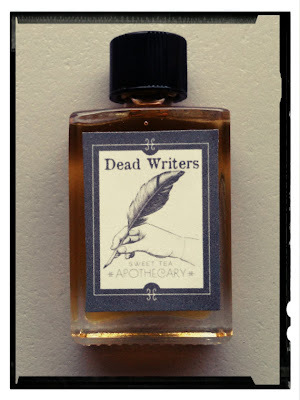 Dead Writers Cologne - How can you not be inspired? Looking for a little inspiration or maybe the perfect gift for that writer friend? How could you go wrong with Dead Writer cologne? I know you have a puzzled What? look on your face about now but consider according to J.T. Siems, "This blend evokes the feeling of sitting in an old library chair paging through yellowed copies of Hemingway, Shakespeare, Fitzgerald, Poe and more. The Dead Writers blend makes you want to put on a kettle of black tea and curl up with your favorite book." Simes is the Seattle brain (or nose) behind this enterprise. It's a unisex blend and it's available here. *Note this is not and endorsement of the product. I have not tried it but it is curiously intriguing. What would Easter be without Peeps? I love Peeps - probably not the best thing for diabetics. They do make a sugar free variety these days and they are not bad. 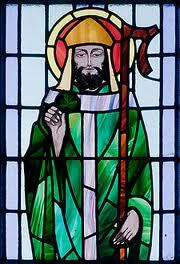 Fortunately for Catholics worldwide, well will not have to go through Easter without a Pope. And as you can see at the left, we has Pope Peeps thanks to The Monkey Cage. 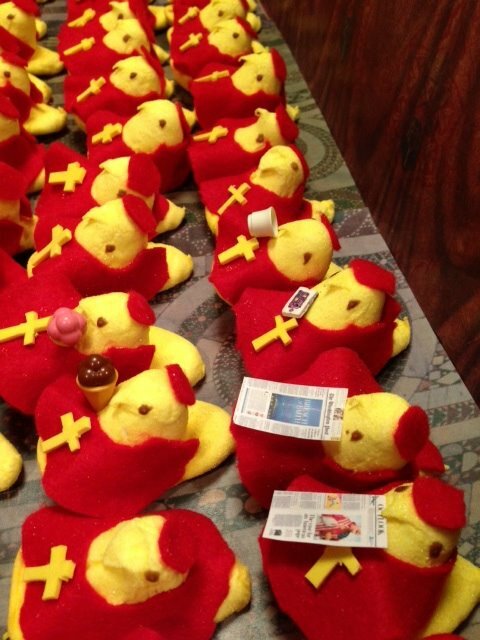 They outfitted a whole Papal Conclave of Peeps in red felt Cardinal suites. Is that not a crack-up? Another week has come and gone. Let's go to the confessional. I confess that I'm being lazy tonight. I'm doing this blog post from my phone because I don't want to fire up my laptop. I confrss that I've slacked off on reading. I have several books started and this psst week have not gotten much further into any of them. I hope to read some tonight when I finish my confession. I have say that I enjoyed getting reacquainted with Bailey's Sunday. It's been a while since I have indulged in any. I confess I like it a little bit too much. The past two nights I've had itchy eyes. I went out and bought some eye drops last night but I confess they are again annoying me. Right now i'm so annoyed by them I feel like poking them out. Ok, not really but obvioudly have had the thought enter my mind. I don't know what it is but I've read a bunch of really good poems the past few days. These are for the most part from poets new to me. I confess it's strange that so many of them have struck me as especially enjoyable. Perhaps I will share links to some of them in a blog post later this week. Ok, the big deal is this... I started organizing myself so that I do my submissions on Saturday. I just finished this week's. Yeah! Last week was the start of this new plan/habit. Maybe it's too early to call it a habit yet, but I have accomplished my planned submissions now two Saturdays in a row. In addition, last Saturday I was an over achiever and submitted someplace in addition to my plan. Now about the plan. I am trying to plan at least three months in advance. That assures a couple of things. Each quarter of a year I now want I need to do for that period of time. Since I check the reading dates I can make sure I'm getting material to the various Journals and venues that I want to be in and not miss their deadlines or like I've often done, realize on Friday night that a deadline is two or three days away and I've given no thought to what I'd be sending so in the pressure of it all I say, "F it" and just let it pass. "F it" is a well developed form of procrastination for me. So you see, this not only affords me better control over my calendar of submissions but it also assures that I have time to explore the best fit for my work. Let's face it, if you don't take the time to explore best options and you just slap together three to five poems and send the out, can you really be surprised when they come back in your face rejected? If you want an editor to truly take time to consider your work, take some time and be thoughtful about what might be a best fit for the Journal you are submitting to. Are you always going to nail it? No, but it's better then throwing the spaghetti noodles on the wall to see if they stick. I've said it before, I hate submitting work. I'd rather write then submit. But no one has ever come up to me and said "Hey, give me something, anything and I'll publish it." And if they did, I might not want to be in what they just published. 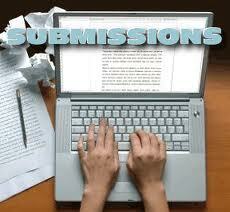 So from now on, if it's Saturday, It's Submission Saturday! 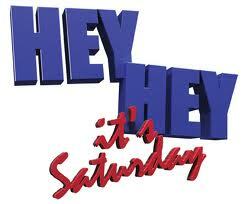 I've actually felt good these past two Saturdays after achieving my submission objective. So maybe I'll start to like this thing. Or, at least not hate it so much. In both instances I've felt so good when I was finished, since I was at my laptop I just kept on working either with rewrites or starting new stuff. I confess I’m slipping into the confessional late for Confession Tuesday. I see you are already aware I am tardy. In my own defense I was at a poetry group meeting last night. We did an impromptu write – pulling our prompt from a box passed around. I prompt was to write about my favorite trip or vacation during my teen years. I confess this was really hard because as I thought about it, the most remarkable thing about vacations as a teenager was that they were unremarkable. I got something down on paper but honestly I had to really lower my standards to choose a favorite. Arriving home last night my wife had not eaten yet. I went out to get us fast food. Later, we were watching TV just before turning in and my daughter who had just come home came in to say good night. My wife asked if anyone had any chocolate for her. I confess that she has been dropping not too settle hints for several days she is craving chocolate and I confess that I’ve been neglectful in appropriately delivering on the chocolate hints. Note to self, don’t home without chocolate tonight! I confess my body is still rejecting the time change from the weekend. Maybe I’ll get it together by this weekend. I confess that I've been trying to hold out the past two days from making a call to my chiropractor to see if she could work me in on an emergent basis. I have my regular appointment tonight for adjustment and trigger-points. I see the light in the tunnel. I confess that I have so many apps on my phone that if I were ever to get stranded in the woods someplace I’d have to immediately dump all my apps to conserve battery until I could be located. I confess I have no idea why I was even thinking about the possibility of being lost or stranded someplace. the birds do it all over. The voices are of no comfort. So it's Friday night and what are you doing? Me, I'm transitioning from Diet Coke to Chardonnay. I've been working for several hours on a poem and our conversation had grown old and tiring so I've stopped for now. Do you talk to your poems? Ok, more specifically your poems in progress. Drafts. First drafts, second drafts, twenty third drafts? My conversation with this evening's poem-in-making has started out asking a single line where it would like to go. It said take me to the other side of what you just said. So I said ok and abridged. I asked what will we do after we've contradicted our opening line. I go no response. (sipping wine) I don't know about you but when I ask a direct question of a poem-in-making I expect at least that it will clear it's throat and appear to be thinking of a reply. I was about to repeat the question when it said you assume too much. I'm not sure how I feel about a poem - especially one in the making assuming it knows what I'm assuming. I thought it important at this point to make it clear that I had no preconceived notions about where this poem was going. It quickly shot back, "Good!" I studied my words on the page. Flipped a stanza. Cut some words. Another "Good" arose from the page. "You approve then?" I asked. I was told yes, but for the time being. I thought about moving the opening line to another location in the poem. Cautiously I was told that was worth considering, but encouraged to consider too making the opening line the title of the poem instead. I said I'd keep that in mind. My head is spinning at this point and I suggested that I really thought it might me time to step back and let this all rest upon the page a while. Maybe overnight. There was a sigh... "No offense, but working with you can be tiring." I responded, "Oh, you think so?" and I saved the work in progress. It's Tuesday and I'm moving slowly to the confessional because it's been the kind of day and evening where I'm not to certain it's good to put too much stock in my forward motion. But I'm here so let's get started. I confess that there have been a couple nights this past week where I've come home and pretty much blown off the evening. This is easy to do if I've had a particularly crazy day at work. Actually today would be a good example. A day when you are just beaten down with work and after a full day of it feel you have not made any headway against your work load. 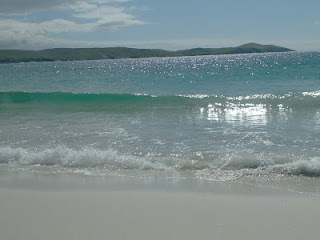 It's days like that I come home - do the minimal I need to do, then crash and burn. Don't like it when I'm like this - looking to break from this, find a way to slowly unwind and then do something productive. yes a bit jealous of those attending. I confess the return of sunlight after all our snow has been uplifting. I confess that we still have mountains of snow and that the sunlight on it is blinding, but I was going blind from the abundance of white everywhere anyway. I confess that I'm ready for Spring. Friday and Saturday I did some writing and was pleased with the progress. Tonight I've taken another route. Tonight I'm the Planning Poet. I've spent time scouring the various venues for publication with concentration on submissions for the next 90 days. I'm identifying who I want to submit to and matching my calendar with their reading periods. One thing I'm being is realistic. I'm not trying to send work to 10 places in one weekend. First, I want to be able to stay on a steady work schedule. The last thing I want to do is set myself up for failure from the start. Knowing at the beginning of one week what publication I am focusing on that coming weekend allows me time for quality forethought to each submission package. I've gone crazy cranking out submissions in the past like all in one weekend and they instantly cold for months. It's no secret, I said it many times before, I dislike the process of submitting work. Still, I'm well aware that it's all part of the process. Unless I'm just going to write and throw all my work in a trunk and forget about it, then I need to get real about my commitment to the whole process. By the end of May, I'll let you know how this is all working out for me.